Rackspace has partnered with Hewlett Packard Enterprise (HPE) to launch VMware based industry’s first Private Cloud-as-a-Service (PCaaS), with pay per use infrastructure. The managed private cloud services will be available at in the customer’s data center, a colocation facility, or in a data center managed by Rackspace. Private cloud as a “pay-as-you-go” model will allow enterprises to better handle erratic growth and bursts in workloads without paying for unnecessary fixed capacity or upfront equipment cost. According to IDC, 80 percent of IT infrastructure will be bought on a pay-as-you-go basis by 2021. The need for more economic pricing models and flexible capacity planning is growing rapidly. IT managers face unpredictable growth and bursts in workloads. there is also demand from their development team to deploy services faster. This is all at tight budgets and they are forced to do more with less. The new Rackspace Private Cloud powered by VMware (RPC-V) with pay per use infrastructure and scalability features with better economics by leveraging HPE GreenLake Flexible Capacity and will allow enterprises savings of up to 40 percent or more, easier and safer migration path, Public Cloud Benefits in private cloud environment, Private Cloud-as-a-Service Benefits such as superior economics, ease of migration, and data control for most enterprise applications and Rapid Scalability of their entire private cloud capacity in a public cloud-like manner. “Rackspace and VMware have shared a long partnership, and together we have many examples of how we empower businesses with solutions that enable them to easily consume the private cloud, giving them the freedom, control, and expertise to support their unique business needs. 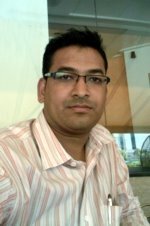 With the newest offering, organizations can now leverage a utility-based managed VMware private cloud available on- and off-premises, allowing for greater flexibility and cost transparency,” said Ajay Patel, senior vice president and general manager, cloud provider software business unit at VMware. 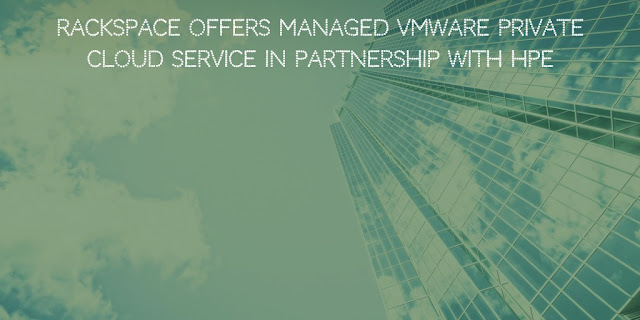 Rackspace has been a VMware partner since 2006. The company has achieved VMware’s Premier Solution Provider Partner status and has earned the recognition from VMware of being ‘VMware Cloud Verified’. This May, Rackspace was also recognized as one of VMware’s 2017 Partner Innovation global and regional award winners for Integrate Public Clouds, the announcement said. The announcement further said, that during this week’s HPE Discover event, Rackspace was also recognized as HPE’s 2018 Global Service Provider Partner of the Year. It is interesting to know that HPE also announced this week its GreenLake Hybrid Cloud, a managed cloud service for on-premise and off-premise clouds. This post is subject to the original announcement.